A white dwarf star is orbiting in the extremely close vicinity of a black hole. Scientists detected an unusual space relation. A white dwarf star is orbiting in the extremely close vicinity of a black hole. During its closest point, the star also loses parts of itself. This close in-stellar couple is also known as a “binary”. They were detected some 15,000 light years away from Earth. Both inhabit the 47 Tucanae globular cluster. The white dwarf star and the black hole were discovered using Chandra. NASA’s Chandra X-ray Observatory is nonetheless just a part of the study. This was carried out by Michigan State University and University of Alberta, Canada researchers. They were led by Arash Bahramian, who is part of both. Research results were recently accepted for publication. They will be released in the Monthly Notices of the Royal Astronomical Society. The paper is called “The ultracompact nature of the black hole candidate X-ray binary 47 Tuc X9”. Initially, astronomers studied the 47 Tucanea X9 system as a whole. But back in 2015, closer observations revealed something odd about the white dwarf star. At the time, research suggested that it may be circling a small black hole. The current paper attests this theory and not only that. It also describes it as the closest such relation as yet recorded. This white dwarf star is just some 600,000 miles away from the black hole. It would mean an extremely close encounter in space terms. One that also takes its dues each time the star gets to its closest point. Bahramian stated that “This white dwarf is so close to the black hole that material is being pulled away from the star […]”. Following this event, observations show that it is “[…] dumped onto a disk of matter around the black hole before falling in”. Such encounters are also reportedly very common. The star is believed to whip by its black hole almost every 28 minutes. At least according to the orbit – distance estimates. However, the system also seems to be stable, at least for now. The team in charge of the study pointed out some facts. Although the system is stable, at least for now, this relation cannot last. As the black hole pulls away material from the star, this will eventually run out. But this is just one possibility. 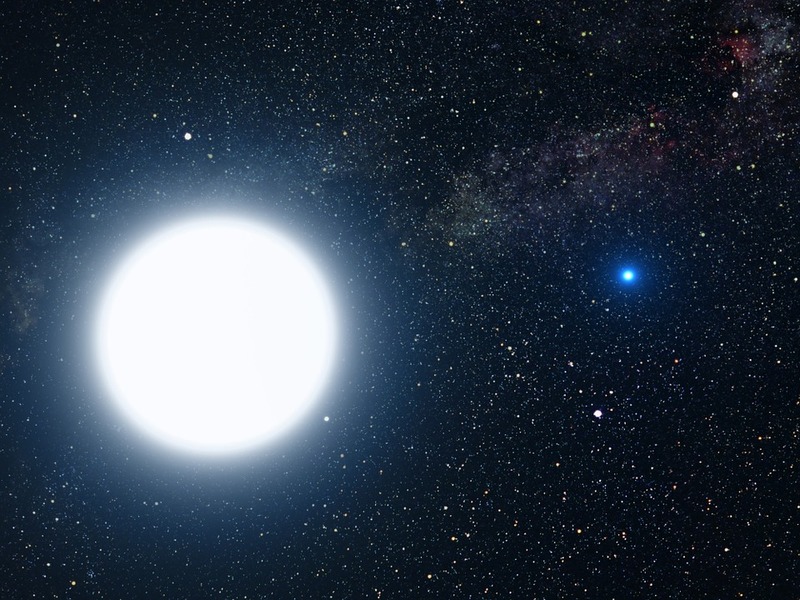 According to the researchers, the white dwarf star is facing two most likely fates. Its material may be completely sucked in, which will cause it to evaporate. Or the hole’s orbital pull could cause the star to break apart. As it is, the white dwarf may also evolve into “an exotic type of planet”. The scientists are also unsure how this strange space tango came to be it. They are still debating whether the black hole may not actually be a neutron star. But the captured X-ray emission do not correspond to the latter. For the moment, the team cannot fully disprove this variant. As it is, more research would be needed.